Real photo or snapshot postcards are wonderful when they leave traces of long-ago fun. The simplicity of the camera and specially-sized roll film, along with the easy printing process on photographically sensitized postcards, gave people an opportunity to be creative with images in ways that we can recognize and to which we can relate. Here’s a card from the tiny town of Luana, Iowa. According to its Wikipedia entry (sometimes Wikipedia is incredibly useful; please support it), the northeastern Iowa town had 181 residents in 1920. So thirteen years earlier, when Glen sent this postcard to Lottie Splies, he probably could have walked it over to her house — but where’s the fun in that? 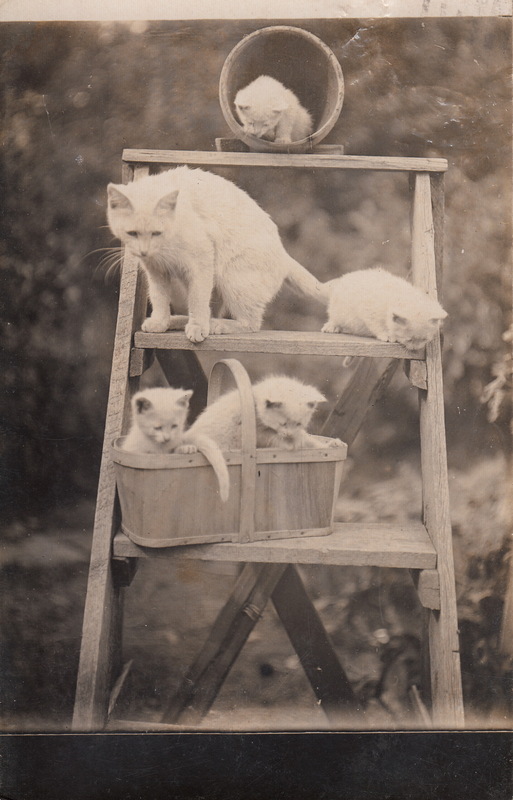 I’m amazed that Glen got the mama cat and all four kittens to stay on the ladder until he could capture the image. A ladder full of cats. Real photo postcard by Glen (last name unknown), Luana, Iowa, 1907. 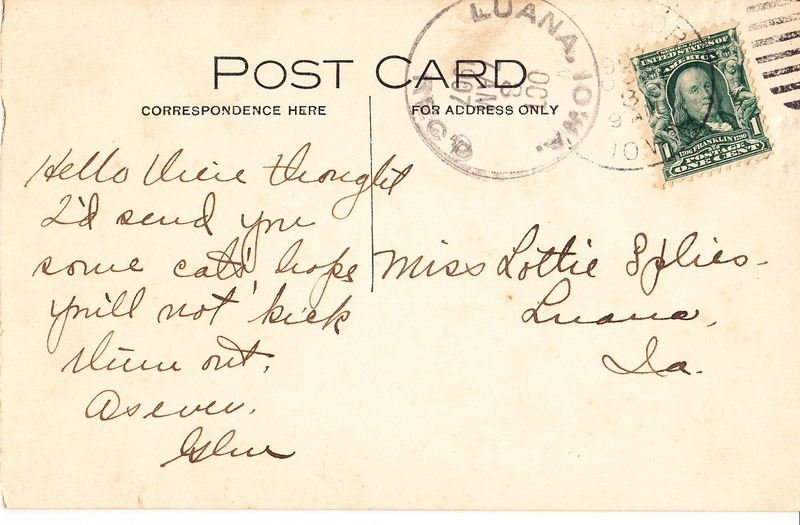 Back of the postcard, postmarked Luana, Iowa, October 1907. Addressed to Miss Lottie Splies. Also amazing that Mom and all the kittens appear to be exactly the same color.